Roald Dahl was one of my favorite authors as a kid. I love how silly his books are, but they're presented so matter-of-fact. A lot of funny kids books I've read lately kind of acknowledge the humor and ridiculousness, so the reader is in on the joke. I like that, too, but I love how Dahl says "This is how it is" and... that's how it is. Some things don't make sense, some things don't match up with logic, but the stories are consistent (as far as I've re-read) so you aren't snapped out of the story by a new line of magic halfway through that didn't exist at the beginning of the book. I don't have all of his books, and I haven't read them all. 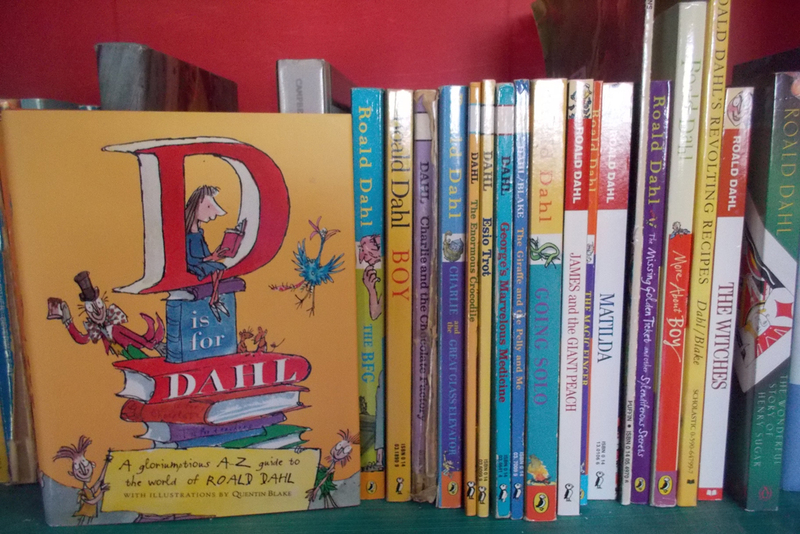 Years ago, just after I had a go at an MFA program, I wanted to do an informal author study of Dahl, since I wasn't going to have to do one to earn a degree. So... that never happened. But slowly I have been re-reading some of Dahl's books for my own enjoyment, and I've found that I usually enjoy them just as much as an adult as I did as a kid. I especially like now seeing the movies and plays based on some of his books and comparing them all in different formats. Who was your favorite author when you were a kid? Who is your favorite now? I loved Roald Dahl as a kid and am rediscovering him again now by reading his books to my son. I’m reliving my childhood and it’s beautiful. Loved your post. He's such a fun author! And his books are all so different from each other - it's easy to find one each kid will like.